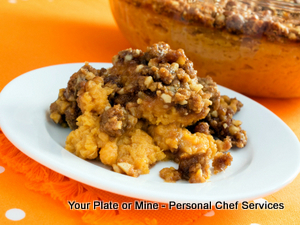 Anyone who would love have personalized, home-cooked food ready to eat at home. 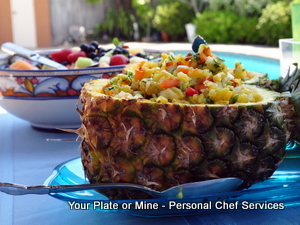 The Chef comes to you to prepare multiple dinners for you and your family on a regular basis. 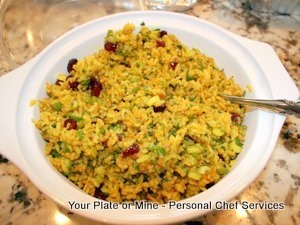 (Of course, there will be enough for leftovers!) It’s a complete service from menu planning and grocery shopping to food preparation and clean-up. All you have to do is heat, eat and enjoy! 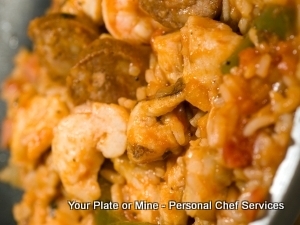 We work with you to make sure your food is prepared exactly as you would like. 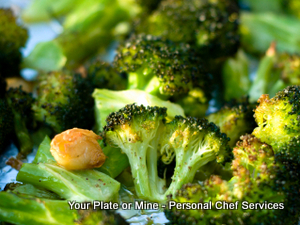 Schedule your complimentary consultation to assess your food tastes with Chef Donna. For our Intimate Dinner Parties, the chef takes you and your guests on delectable culinary journey in multiple courses. Focusing on groups of 2 to 20, our Contemporary California recipes are personalized and presented for table platter service or formal-style dining. Special Occasion Parties are focused on casual, family-style dining for 10-50 guests. 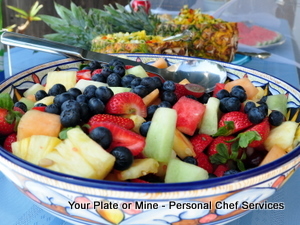 Make your Sunday brunch, birthday, bridal shower or anniversary an experience to remember with a chef to help plan the menu, shop for fresh groceries, prepare the food onsite and clean it all it all up, giving you the restaurant experience and allowing you more time to spend time with friends and family. Our In-Home Cooking Classes and Parties help you to fine-tune your cooking skills while having fun. 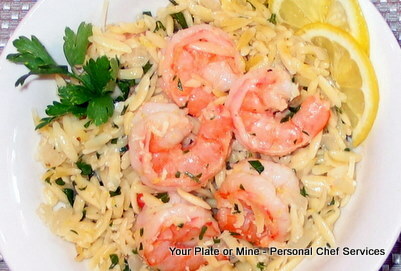 We offer one-on-one cooking courses and specialty classes and couples cooking classes. 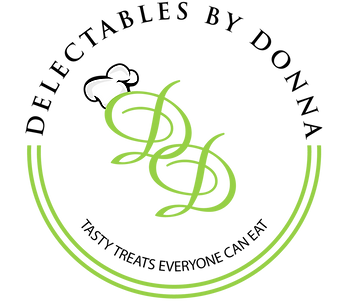 We can also put together a fun and flavorful event with a cooking party in your own home! Invite guests over to make and taste simple appetizers or to sit up close and personal as the chef offers preparation tips and tricks of some of your favorite recipes! We empower you to achieve your healthy, nutritional lifestyle goals. We inspire your inner-chef and make you the next “Food Network Star” in your own kitchen. 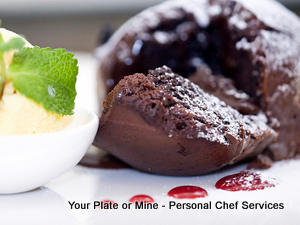 We liberate you from kitchen duty which gives you more time to do whatever you’d like! 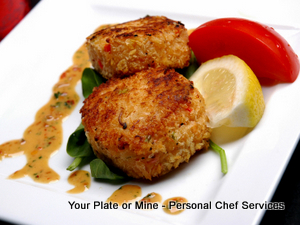 Whether it’s your plate or mine, we invite you to Eat, Entertain and Enjoy!